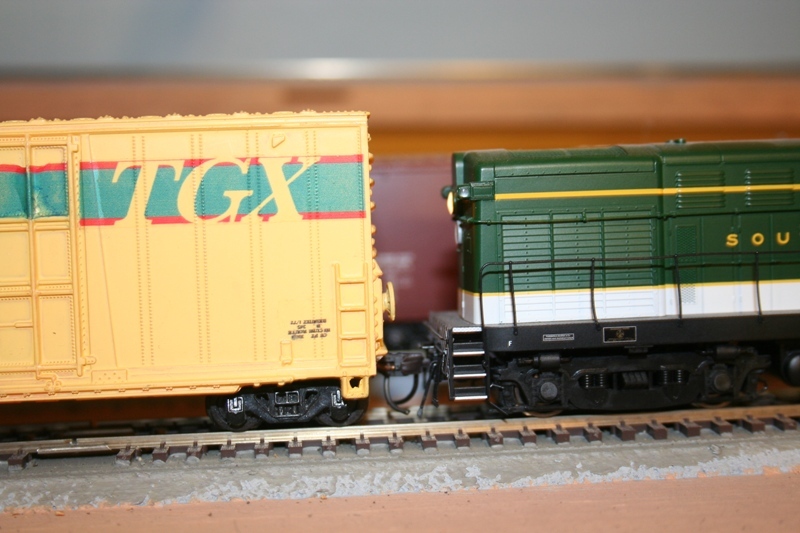 The TGX HO boxcar from 2Guyz and Sum Trains arrived on the inbound tracks of the classification yard this weekend and the switching of cuts from the mixed freight consist began soon after the inbound locomotive was sent for refueling and a servicing checkout for the next haul. 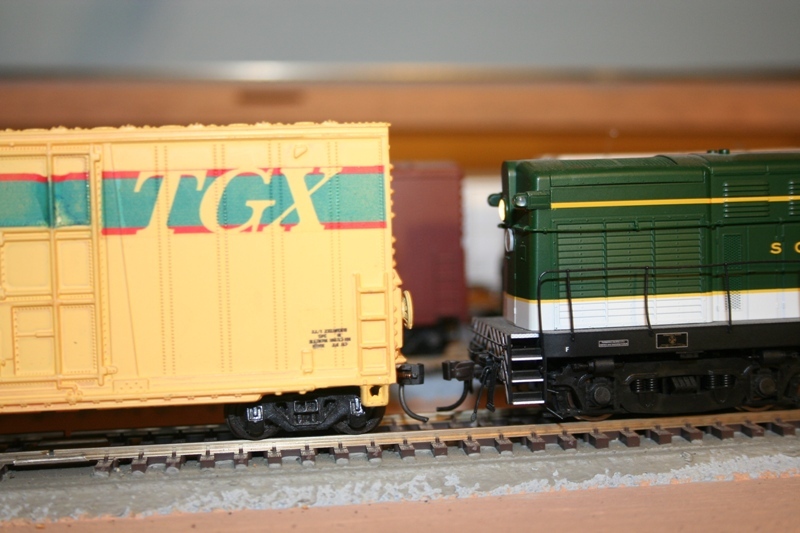 Here in the photo on the left the TGX boxcar is seen at the 4th position from the lead just behind a couple of Southern boxcars and a bulkhead flatcar with a wrapped lumber load, and in front of two Pacific Fruit Express refer boxcars. Other cars observed in the consist were empty hoppers and empty tank cars toward the end. Once the lead prime mover was sent to the locomotive servicing facility the Southern H16-44 assume it's role in taking a cut of cars from the inbound classification yard to the freight yard near Asheville Station. 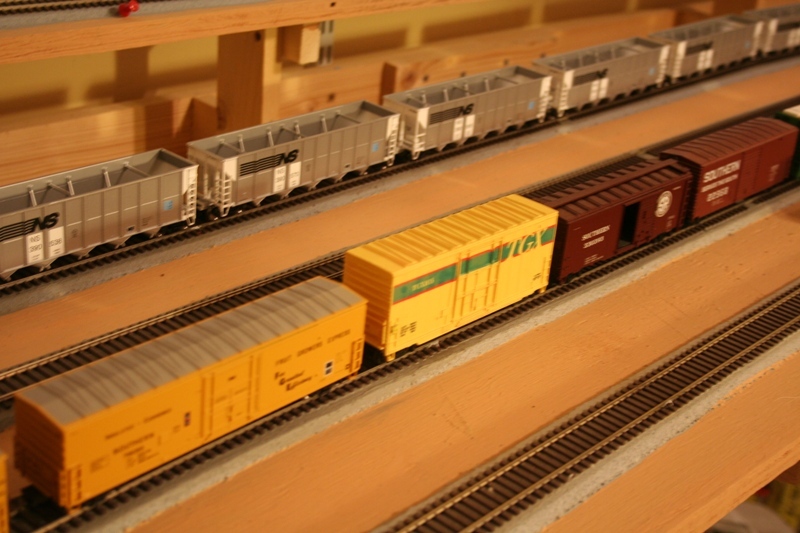 Before making it's way to the freight yard the small cut would have to pass near downtown Asheville. 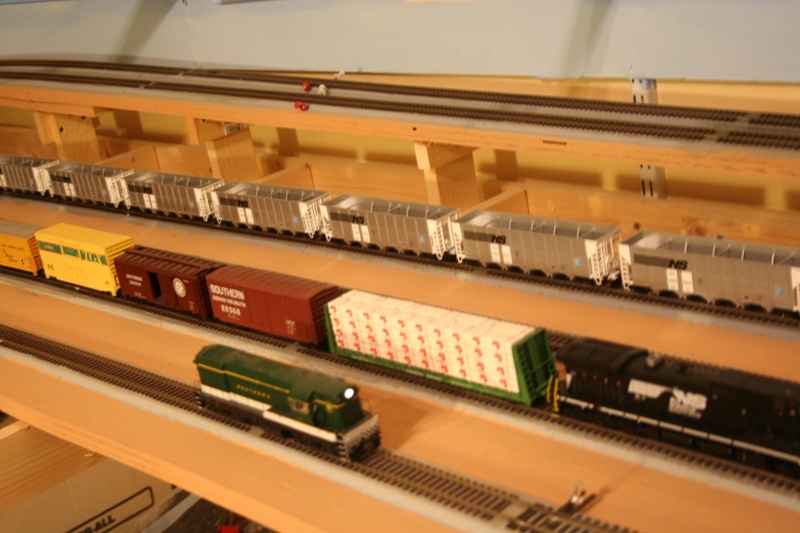 But, first here are a few images of the coupling details and switching operations in the classification yard.